Is Your Organization Facing Issues Like These? These challenges do not have to be a stumbling block for you and your organization. Innovation consultant and expert Robert B. Tucker has developed a unique approach to helping companies deliver results. Instead of lengthy and expensive consulting projects, Tucker believes you and your team have the “right stuff” within your company to unleash a new wave of growth, profitability and competitive advantage. What you need is a coach to get you started in the right direction. 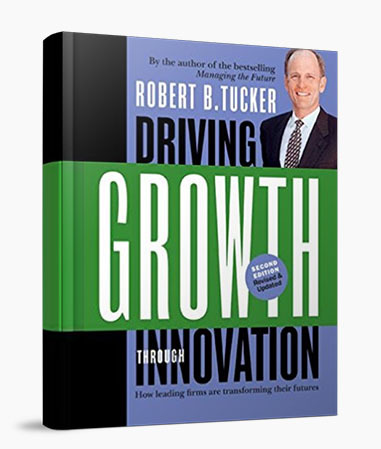 Using strategies outlined in his groundbreaking book, Driving Growth Through Innovation, Tucker assists you and your colleagues in “leading from the top” — making it a top strategic imperative. He shows you how to design and implement an Idea Management Process to get new ideas flowing. He teaches you and your team the essential tools necessary to discover breakthrough ideas, create a culture of innovation, and involve everyone in the quest for success. No wonder 200 of the Fortune 500 companies have benefited from Tucker’s expertise! 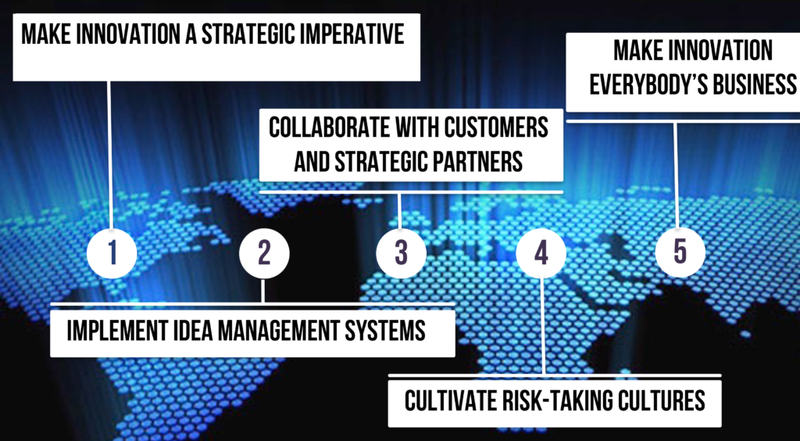 If you’ve been tasked with leading innovation in your company, you’ve come to the right place. Tucker’s unique approach to embedding it as a core competency in your organization involves first identifying a core group of individuals who will help you lead the transformation. Together as a team, you will design and launch the initiative. But first, you will need to sharpen and tap your Innovation Skills. 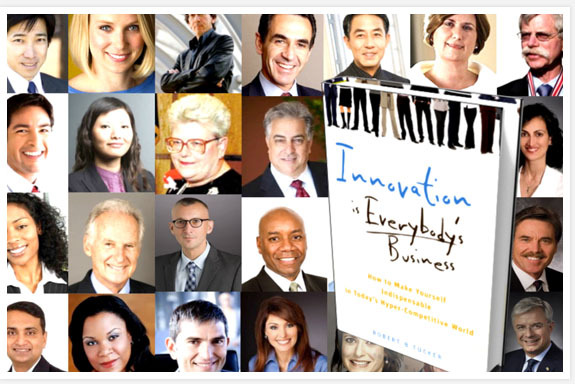 According to Tucker’s latest book, Innovation is Everybody’s Business, these skills can be learned. Indeed, unleashing the mindset, skillset, and toolset of this core group of innovators is where good things begin to happen. Use the assessment below to determine the status of your own skills, then get ready to lead the journey! 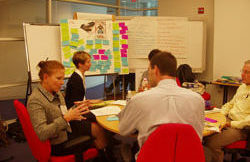 Accelerating your company’s innovation performance starts with a plan. 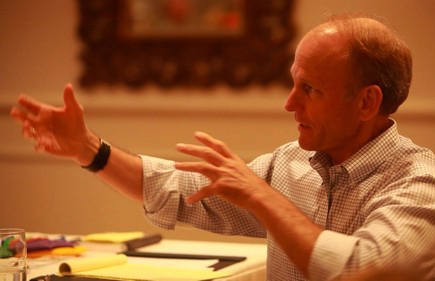 With Robert Tucker as your guide, you’ll develop a blueprint during an intensive one one or two-day offsite retreat. 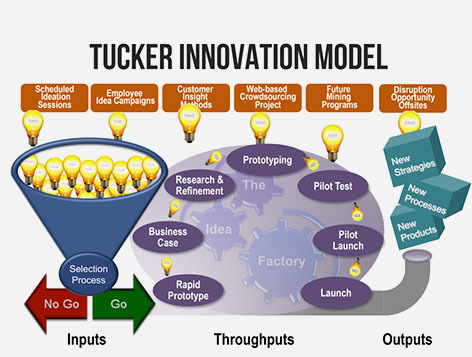 Your plan will be based upon Tucker’s Five Best Practices of The Innovation Vanguard. 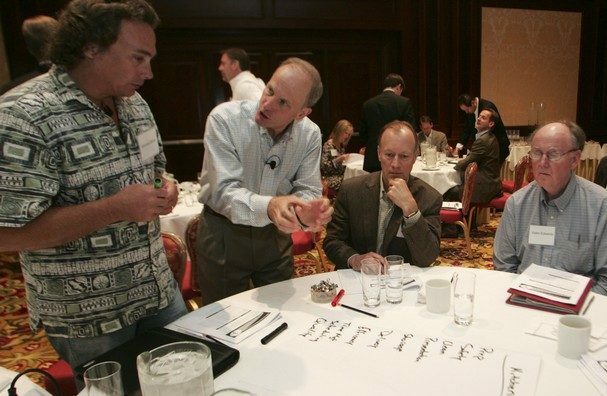 At the offsite, you and your team will create a systematic, embedded and sustainable innovation process. Tucker will guide you in creating the right incentives and rewards to encourage innovative behavior. The result is that you save time, wrestle with the essential issues, gain buy-in from stakeholders, and begin delivering growth for your company. Improving the Flow of Great Ideas is What it’s All About! 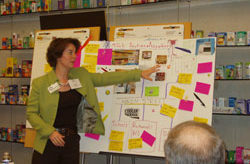 Improving innovation performance is about the flow of ideas in your company from concept to commercialization. With Tucker as your guide, you’ll examine the input, throughput and output of fresh, powerful ideas that can fuel your company’s future. To build lasting and sustainable performance, your key managers will be empowered to treat ideas as assets, and to select and advance ideas toward implementation. 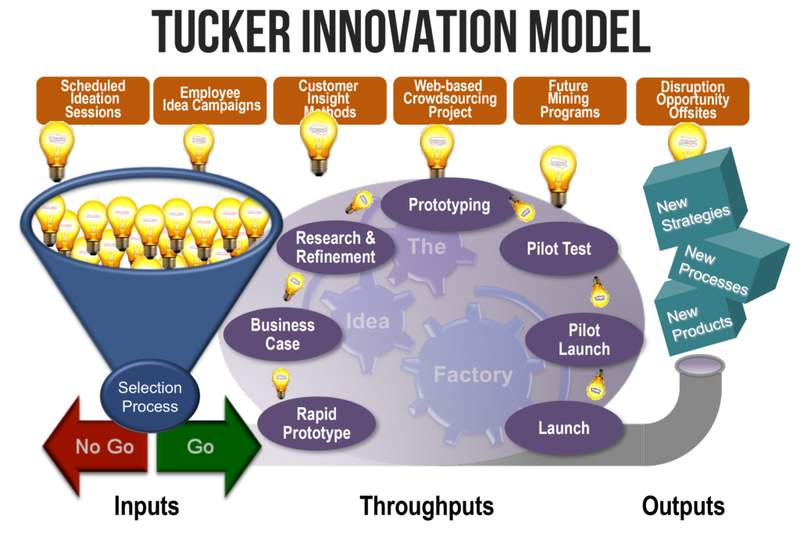 The Tucker Innovation Model has proven helpful to organizations worldwide. Discover how this model can help accelerate efforts in your firm. 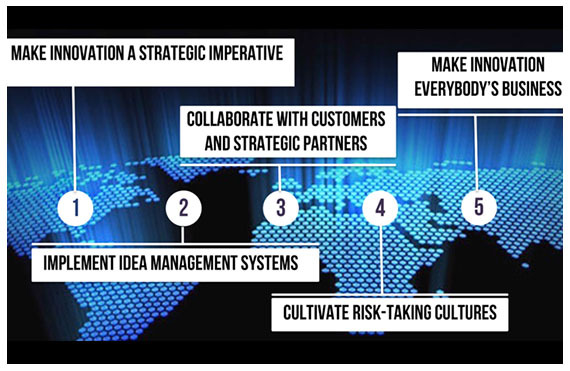 A risk adverse culture can be the death knell of even the most well planned initiative. The culture of a company can be critical to forward progress. Our engagements often begin with a customized Tucker Innovation Climate Survey. This proprietary assessment, developed in conjunction with a leading market research firm, provides you with a way to objectively measure the enablers of and barriers to creating a culture of engagement and innovation. From there, we assist you in developing a step-by-step action plan for how your organization can create a holistic, systematic and embedded process.